My personal journey into jazz began when I started going out with a young jazz vibraphone player at Royal Holloway College. We bonded over a piece of classical music with tinges of jazz: Britten’s opera, Paul Bunyan. The college Opera Society were presenting it, but owing to its deeply philosophical nature, many students dropped out in a state of total bewilderment. I ended up singing about a dozen different roles, while my husband-to-be played percussion. One of the numbers was The Quartet of the Defeated, a bluesy dirge about broken American dreams. I realised many classical composers have been fascinated by jazz, so on Radio 3’s Sunday Morning I decided to follow their example – in the third hour of the programme, I play a favourite jazz track that appeals to the classical musician in me. Here are some recent examples. Sarah was born in Barnsley where her earliest enthusiasms were music, art, writing and making taped "radio shows" for her friends. She studied music at Royal Holloway College and Reading University, where she specialised in performance. Since then she has worked as a broadcaster, pianist and teacher. Sarah has a strong interest in contemporary music and in 1995 completed a PhD on the subject of English experimental music. Pursuing that interest, she has performed with many new music groups and has premiered lots of new material. 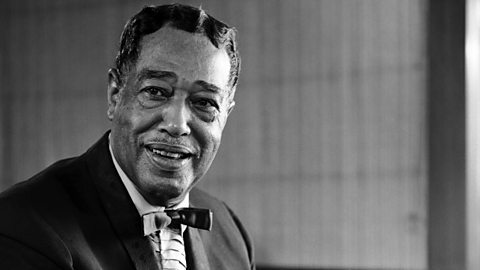 With Duke Ellington’s music, what attracts me most is the orchestration – instruments blended with such ingenuity that you’re hard pressed to tell exactly what you’re hearing. Ellington was deeply influenced by classical music, and his New Orleans Suite (or another favourite of mine, the Far East Suite) are like tone-poems in their evocative power. Portrait of Mahalia Jackson celebrates the Queen of American gospel: it’s a strong, slow piece starting with angular piano chords and continuing with a flute melody that really defies description – there’s nothing else like it. Music of enormous originality and character! 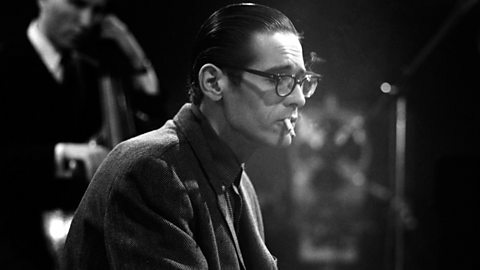 If you enjoy the cool and colourful pianistic textures of Debussy – and his fascinatingly ambiguous harmonies – then Bill Evans’s piano playing will delight you. This classic jazz waltz (named after the pianist’s niece) dates back to 1956, and I chose one of the most celebrated recordings, with Evans joined by vocalist Tony Bennett in 1975. Tony Bennett, by the way, is a fine visual artist as well as a musician, which gives me further inspiration. With Tony Bennett (vocal) and Bill Evans (piano). One of my favourite films is Jazz on a Summer’s Day – shot at the 1958 Newport Jazz Festival…not only is it totally fascinating to watch the fashionably-dressed audience members prowling around in their fly-style sunglasses, relaxing as they watch the big jazz stars of the day…but some of those performances actually shook the musical world. For instance, Anita O’Day with Sweet Georgia Brown (and if you’ve never seen the film, you must look for that clip!). So for Sunday Morning, I played her studio version of that unforgettable performance. The changes of tempo and mood are an absolute wonder – the band responding so quickly to her inspired direction. 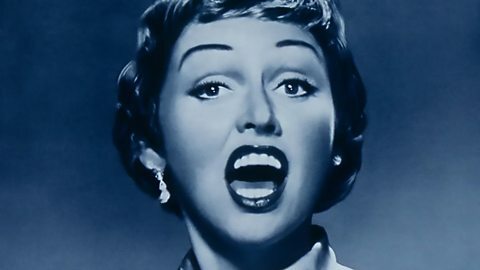 Anita O’Day was a singer in full musical control: the match of any virtuoso instrumentalist she worked with. 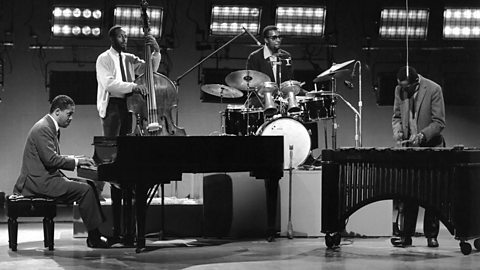 I was aware of the Modern Jazz Quartet since the 1980s, as my husband was inspired by their vibes player, Milt Jackson. The quartet were renowned for their forays into the classical repertoire, playing Bach’s music with great flair. Then they turned their attention to Bachianas Brasileiras No. 5 by Villa-Lobos. 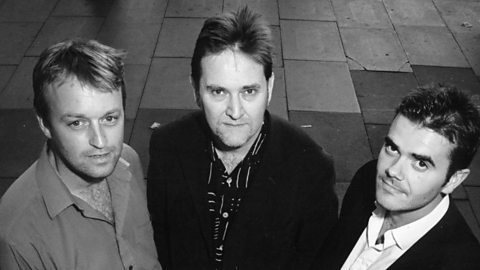 Their version (from their 1964 album The Sheriff) expresses the music’s Latin rhythmic flavour with a subtle, often fragmentary counterpoint between bass, drums and piano, with vibraphone singing out over the top. From the album, The Sheriff, with the Modern Jazz Quartet. 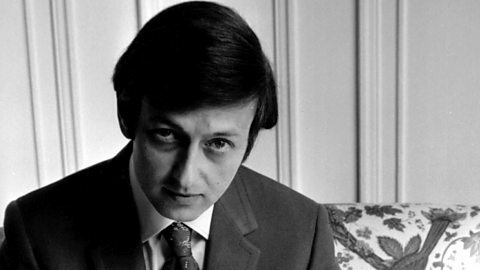 One of my favourite jazz pianists is André Previn, also renowned as a classical conductor (I’ve featured his Swan Lake with the London Symphony Orchestra many times!). I first got to know his playing from his work with Doris Day in their 1961 album, Duet (Doris Day – there’s an underrated singer if there ever was one! Her expressivity and variety of tone colour is magnificent! But I digress….) Previn is an incredibly sensitive accompanist: his playing ranges over the whole keyboard. It’s colourful and complex, yet never overwhelms his musical partner. 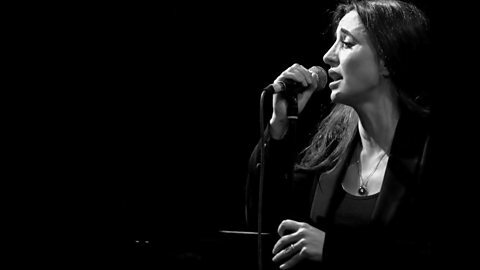 This track is a non-vocal, featuring his regular trio: it’s a touching rendition of Maria from West Side Story, reflecting Previn’s admiration for a fellow polymath, Leonard Bernstein. I’ve been playing piano in a big band for nearly 20 years: the Runnymede Jazz Orchestra. It’s a fantastic way for a classical musician to learn how to play jazz: in the average band piano part, some of the music will be fully written out, and some will be just chord symbols. Eventually your understanding and knowledge grows, until you can play the more complex symbols (or until you head off to get proper lessons, as I have done recently with Tim Richards at Morley College... I can now play 13th chords*, thanks to him). I’ve come to revere the big band repertoire, and Moonlight Serenade is the ultimate American swing ballad: it was Miller’s own composition and an instant hit when it was first released in 1939. *with either hand, as long as the wind is blowing in the right direction. 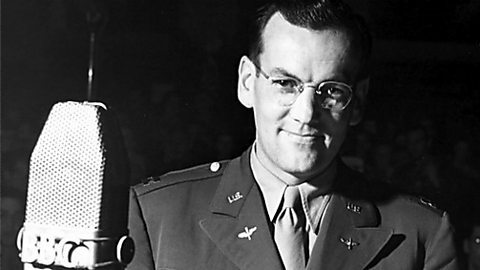 With Glenn Miller and his Orchestra. I wanted to share this next track with listeners because of the glorious vitality in the piano part. No wasted energy or empty virtuosity, but a fantastic sense of energy in the way Tim Richards puts down the keys! With my background in contemporary classical music, I really appreciate the way that jazz seems to encourage lots of new music to be composed: creativity is an important part of the culture, and every participant makes a contribution. I love the Latin flavour of this track. Tim Richards Trio: Tim Richards (piano); Matt Home (drums); Dominic Howles (bass). George Gershwin is one of the most label-defying composers: equally embraced by the classical world and that of jazz. Summertime is one of the few songs that sounds beautiful in either style; I can enjoy recordings by both the opera singer Barbara Hendricks and the peerless jazz vocalist, Ella Fitzgerald. This version, by the legendary Bebop saxophonist Charlie Parker, is an interesting one. 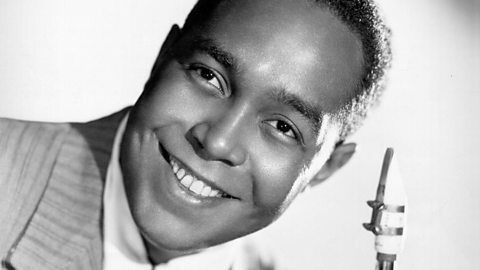 When Parker made two albums of popular standards, accompanied by mellow-sounding strings, some of his fans wondered if he’d sold out. But in the opinion of the saxophonist himself, this was some of his best work. In Summertime, recorded in 1949, the strings in Jimmy Carroll’s arrangement add incredible atmosphere…a touch of film noir, perhaps, and they flesh out the arrangement so there’s always something to captivate the ear (quite aside from the extraordinarily passionate sax playing). I got to know about Miles Davis in a slightly unusual order – starting with his later, funk and pop-inspired music and gradually progressing to his earlier recordings. I saw him perform at the Royal Festival Hall around 1991, and I loved the music he was making then – the harmonies and grooves were less overtly “jazz”, but there was still that trademark quality of improvisational fantasy and expressivity. This made me a great believer in musical cross-fertilisation, and I still enjoy “impure” sorts of music, like when a fashionable dance creeps into a Bach fugue, or Stravinsky’s gritty modernism marries with Russian folk. This track – Les filles de Cadiz – shows Miles Davis (on flugelhorn) and arranger/bandleader Gil Evans engaging with a classical melody by Delibes. 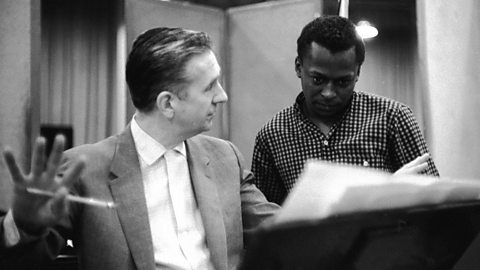 With the Gil Evans Orchestra and Miles Davis (flugel). At college, one of my music lecturers was somewhat anti-jazz and pop music, yet welcomed the fact that the words of popular songs tended to be more clearly audible. I frowned as I heard this, thinking of the Bee Gees’ song Staying Alive, which I’d always misheard as Stay in a Line (after all, the Bee Gees were always positioned in a line). But when it comes to the Great American Songbook, I agree that the words are generally audible and furthermore, full of incredible wit and rich in contemporary flavour*. So for an August edition of Sunday Morning, I played a song that’s been particularly admired in that respect: Too Marvellous for Words. It has very clever lyrics by Johnny Mercer, which fit Richard Whiting’s melody perfectly, and it was popularised by Frank Sinatra, on his album Songs for Swinging Lovers. I played a fresh interpretation by Laura Zakian, whose singing I’d first encountered at Morley College: I studied with Laura for two years, soaking up huge inspiration from her. *for instance, I was fascinated to learn that “Mr Moto”, referred to in the 1940’s song Java Jive, was a fictional Japanese secret agent. Or there’s “Winchell” in The Lady is a Tramp (as in “I follow Winchell and I read out every line, that’s why the lady is a tramp”) – Walter Winchell was an influential gossip columnist. Listen to Sarah Walker every week on Radio 3's Sunday Morning. Jazz records from across the genre, introduced by Alyn Shipton in special sequences to highlight the wonders of jazz history. The best in jazz past, present and future. The home of contemporary jazz on BBC Radio 3. Including new music and live recordings.